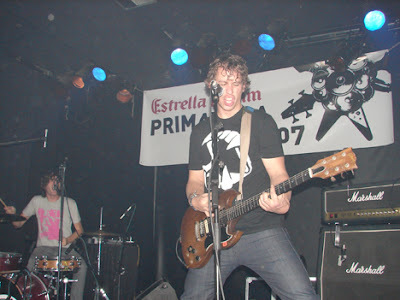 This Picture is from this Japanese Blog http://www.shift.jp.org/en/ it was taken at the show Spain we played. Look for Primavera 2007 and click on it. Cool. Ok, and so also this year I swear we are going to try and post something everday. even if its stupid. so keep checking back. once a day or close to it. 2008 blog-a-thon!!!! TONIGHT!!! The Smell 10 Year aniversary!!! !